This is a promo video about the See It Before You Sign It campaign by Campus Firewatch, the Consumer Product Safety Commission, the National Fire Protection Association and the United States Fire Administration. Please share! Every fall, parents help their children move into off-campus houses and apartments. And so often, this is the first time that the parents have seen where their children will be living. What’s important to your son or daughter when it comes to picking off-campus housing might not include things such as smoke alarms or two ways out. Before a lease gets signed, whether you are a co-signer or not, help your child make a smart choice, See It Before You Sign It. If you can’t do it in person, have them give you a virtual tour using Skype or Facetime, but whatever you do, See It Before You Sign It. 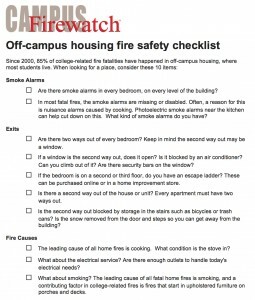 Campus Firewatch has a checklist that focuses in on some of the critical areas, as does the National Fire Protection Association and the United States Fire Administration. 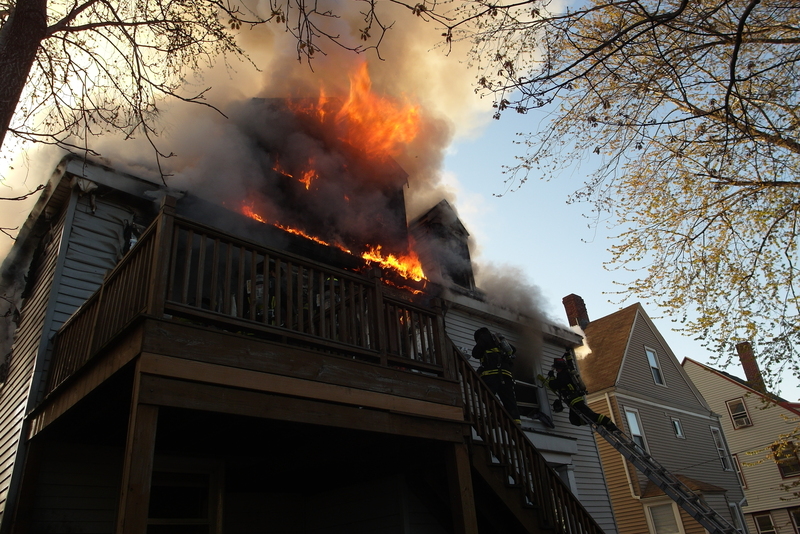 Help your student make smart choices, and help them with information that they will need, not only for the years they are in college, but for the rest of their lives-how to pick a fire-safe place to live. 100% = How many fatal college-related fatal fires have been off-campus, instead of in residence halls or Greek housing, since 2005. See It Before You Sign It is a campaign from Campus Firewatch, the Consumer Product Safety Commission, the National Fire Protection Association and the United States Fire Administration. Be sure to follow us on Twitter using the hashtag #OffCampusFire.